Are you experienced with using hearing aids? Your hearing aid has been carefully designed to meet your specific requirements, but like any piece of technology, your hearing aid can wear and tear over time, resulting in rare instances when the device could malfunction! Malfunctioning is often unpredictable and sometimes occurs at the most critical and inopportune times, such as in the middle of an important business meeting. Through preventive care and proper maintenance of your hearing aid, you never have to worry about miss a single moment! At Signia, we are committed to making your life with hearing loss as effortless as possible. Here are some useful tips and tricks that you can implement in your daily usage and maintenance, as well as some of our unique user-friendly smartphone apps and accessories to offer you unrivaled convenience and customer care! It is important to treat your hearing aids with care to minimize potential problems during everyday use. Here are some tips and techniques that you can try in your daily life! Although hearing devices are far more durable than they once were, they still should be handled with care. Always hold them securely to avoid dropping them. When changing the batteries or cleaning your devices, set them on a soft surface such as a towel. Clean your devices with a soft, dry cloth and never use alcohol, solvents or cleaning agents unless recommended by your hearing care professional. Protect your hearing aids from moisture and dirt. Your hearing aids contain some very sophisticated technology and circuitry in a tiny shell. When it’s exposed to moisture or dirt it can cause serious damage. Always make sure that your fingers are clean and dry before touching your hearing aid. Although hearing aids are now being made to be water resistant it’s recommended that you still remove them when showering or swimming. Due to the high ambient humidity, you should not leave the devices in the bathroom. If your hearing aids do come in contact with water, dry them immediately with a towel. Never attempt to dry them with a hair drier or other heated device, since the high heat can damage them. To minimize moisture or condensation which may damage the hearing aid (especially if you live in a humid area!) 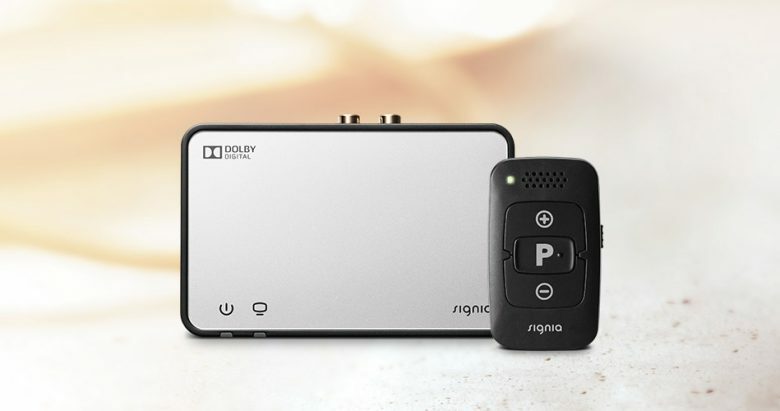 we recommend removing the battery from the device at night, leaving the battery compartment open. Alternatively, you can also consider using a special dehumidifier accessory available from your hearing care professional. Keep devices free of earwax and other such harmful particles. Earwax is one of the leading causes of decreased performance in hearing aids. Earwax accumulation on the receiver, earpiece or hearing aid could cause the sound quality to be affected. This is also relevant when using some body care products such as hairspray or powder, where the product’s fine particles could also accumulate on the device thus affecting its performance. It’s important to take time and clean them frequently. After each day of wearing your hearing aids, take a dry cotton swab or soft dry toothbrush and gently remove any earwax or debris that may be on the device or earpiece. Remember to clean all parts of the hearing aid! Keep your hearing aids in a safe place. When your hearing aids are not in use, it is best to keep them in the drying set or in their carrying case and out of reach of children and pets. This would protect your devices from accidental damage and dirt. If you don’t use your hearing aids for a while, we do recommend to remove the battery to prevent any unexpected discharge causing damage. While cleaning and taking care of your devices at home can greatly improve the life of your hearing aids, you should still bring them in to be properly cared for by a professional on a regular schedule. The hearing care professional would be able to inspect your device closely, and spot any repair that you may need. You should schedule a follow-up session with your local hearing healthcare professional every 4-6 months or immediately if you suspect there’s something wrong. Are you unsure about how to operate your hearing aid? Watch our handling videos to learn how to maintain your hearing aids and how to handle apps and accessories. Read our FAQs to find answers to common questions about our hearing aids, apps and accessories! Did you know that Signia is the most innovative brand in the hearing aid industry? Built on 140 years’ of Siemens experience, Signia was launched globally in 2016 and has already advanced to one of the top 3 hearing aid brands worldwide. 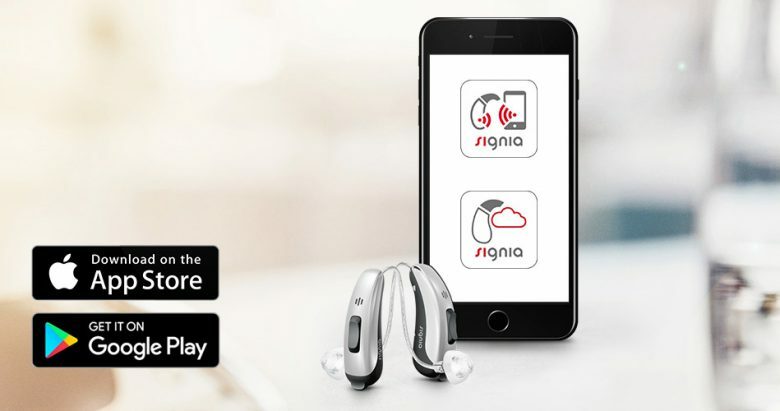 Signia brings the latest technological and audiological developments, as well as useful tools and unique apps to increase customer interaction and engagement; allowing you to get the most out of your hearing aids. When was the last time you had your hearing and hearing aids checked? If it has been more than a year, this is a good time to visit your hearing care professional! They will make sure your hearing aids continue to provide the amplification you need and that they are working well. Do always feel free to discuss any concerns about your device when problems arise or if you are feeling any discomfort with the current setting of your hearing aids! Your hearing care professional will be able to address your concerns, as well as troubleshoot any problems or discomfort which you might be facing!